KAMPALA – Despite featuring among the sectors that are set to eat big from the 2019/2020 coming National Budget, the Ministry of Defence has been left with a budget shortfall that is about UGX800b. 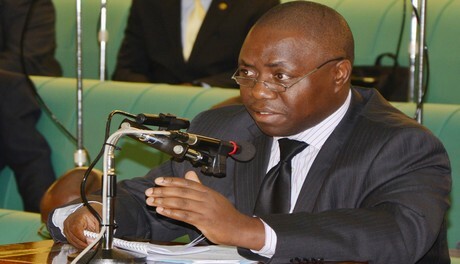 In the Ministerial Policy Statement submitted by the minister of Defence Adolf Mwesige before the Parliamentary Committee of Defence and Internal Affairs, the ministry had a ceiling of UGX3.4b for 2019/2020, however the figure was revised on March 28, 2019 an adjustment on external financing budget by UGX93.9b was done bringing Defence’s total budget to UGX3.5 trillion. Of this money, the wages will account for UGX519.5b, recurrent UGX642.9b, Development 1.98 trillion, external funding UGX362.9b, but despite the development, the sector isn’t clear of budget shortfalls. As much as the ministry had budgeted for wages of UGX829b, the amount provided for is UGX519.5b bringing the shortfall to UGX309.6b, while no single penny has been allocated to classified despite the request of UGX1.8 trillion. The army intends to spend UGX11.2b on training its officers but none was provided and the same shortfall was registered in medical expenses whose budget was UGX13.7b and only UGX9.2b provided leaving a shortfall of UGX4.5b while the National Military Referral Hospital that needs UGX134b has only seen UGX40b allocated leaving a shortfall of UGX94m. Yet still, the Uganda National Defence College asked for UGX5.4m and none provided, with the same situation realized in the capitalization of air cargo that requires UGX38b and none was provided, while on the budget of fuel for troops, the budget was UGX53.6b and only UGX41b provided leaving balance of UGX12.6b. The army is also seeking for UGX24b for the capitalization of the defence forces shop and none provided, yet UGX52b is required to cover for arrears for court awards under the decentralisation policy and none provided as well as the UGX179.4b required for seed capital for veteran cooperatives and none provided.